Provided Qualified SWPPP Practitioner and Qualified SWPPP Developer services to a 16-acre, $32M, Risk Level 2 commercial development project that included dewatering operations and multiple direct discharges into a sensitive water body. Utilized Stormpromax software to document compliance inspections and testing results. 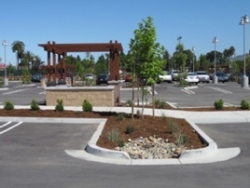 Currently providing long-term O&M support for stormwater facilities.